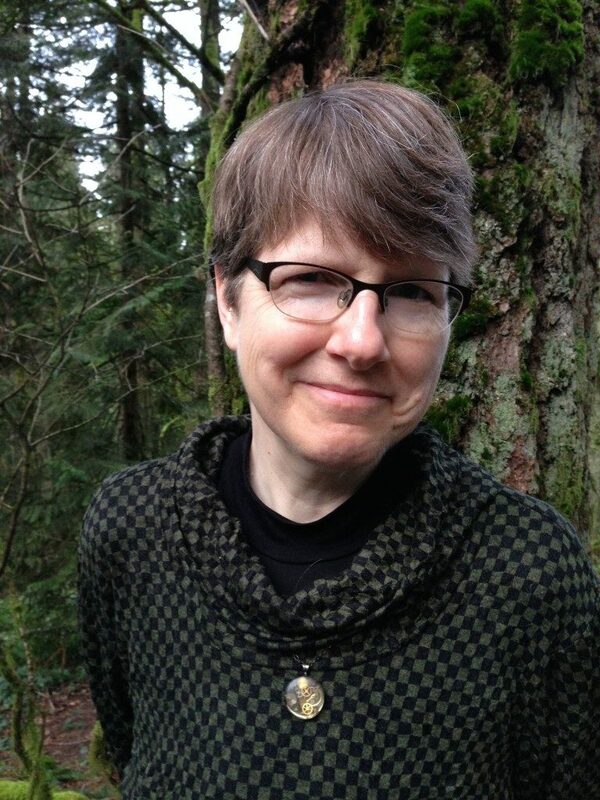 Anne Nesbet: I just looked back at my first file names for what eventually became Cloud and Wallfish, and they made me laugh: the first file is called “Cloud and Nobody”; the second (created a month later) is called “Cloud and Somebody,” and the third file (opened a few weeks after that) has the more familiar title “Cloud & Wallfish”–but with an ampersand. (I did hope to keep that ampersand!) We see from this evidence that Cloud-Claudia was Cloud-Claudia from the very beginning, and in fact, that climactic scene at the Wall with the cardboard cloud was also in my mind from the very first days of the project. I also knew from the start that Noah would be renamed “Jonah” (I liked the way the two names shared most of their letters, and I liked the stories associated with those two Biblical voyagers, “Noah” and “Jonah”), but my earliest title reminds me that I had another traveler in mind when I started writing: Odysseus, who has to take on so many different identities and who carefully calls himself “Nobody” when the Cyclops asks. 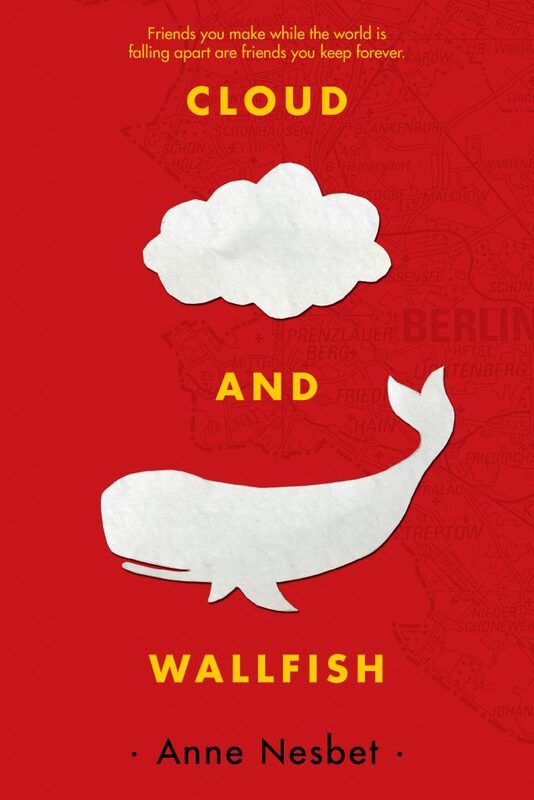 I figured out the nickname “Wallfish” while I was writing (from “Jonah” to “whale” to the German “Walfisch” to “Wallfish”), and then that seemed so perfect that it became part of the title, too. RGC: Chapter Twenty-Nine, “Doing the Right Thing” brings up some troubling questions about Noah’s parents. When Noah wonders about the right thing to do, his mother’s response is “Sorry, but we never get to know everything…Not even us grown-ups. We just do the best we can,” (p. 364). How does one reconcile this need to do the right thing with not being able to know everything? A.N. : That is such an important and difficult quandary! We never know everything, and yet we need to try to do the right thing anyway. I’m not sure that those two contradictory truths can ever be “reconciled” once and for all: we have to keep trying and keep learning and keep (as Noah’s mother says) asking questions. Sometimes (often) we will make mistakes. But I do think it helps if we keep trying to learn more about our world and keep asking ourselves what “the right thing” in each circumstance might be. RGC: Some beautiful passages in this book talk about Noah and Claudia being both outsiders and insiders in multiple senses. How might it be helpful for a person to realize how they might be both outsiders and insiders in different ways? A.N. : There’s a simple (yet impossible) question that reminds us how complicated our identities are: “What are you?” Any of us can answer that question in a dozen or more different ways, because we are all many, many things, and we belong to many possible groups as a result. That means that we can be “outsiders” in certain groups and “insiders” in others, both at the same time. And we may feel secretly like an outsider in places where nobody else knows that’s how we feel. On the other hand, we may sometimes not realize how much we do or don’t know about a particular group. It is helpful to stay as aware as possible of our own point-of-view, its various advantages and blind spots. RGC: Claudia sees the world differently due to her imagination about the Land of the Changelings, while Noah communicates differently than most people due to his stutter. Even so, the two friends understand each other and get along well. Is there any advice that you might give to people who have trouble understanding each other due to differences in outlook or communication? A.N. : It’s so important to have friends who see the world in all sorts of different ways! Patience and love are important, too: to keep trying to understand where our friends are coming from and to keep listening for the important things they’re trying to tell us. RGC: Noah’s mom calls him a hero at the end of the book. Would you say Noah is the main hero in this story? If another character could be the main hero, who would it be and why? RGC: “Names are like codes, yes? Like magic codes. They have everything that ever happened to you squeezed tightly inside them,” says Cloud-Claudia (p. 151-2). Would you say that the names people give themselves inevitably refer back to the names they are given, like Noah and Claudia’s nicknames for each other? A.N. : The relationship between a name (or another kind of label) and the person that name or label refers to is always complicated. I like Cloud-Claudia’s thought here, that a name should say something about the person named—but I’m pretty sure that in real life, names and labels often miss a great deal about the people they are pinned to. My own name is “Anne,” and I’ve always felt that that was pretty close to having no name at all, especially since my last name starts with an “N,” so that when a teacher called on me in school, it sounded generic: “A Nesbet!” Many people change their names at points in their lives, which I guess is evidence that we at least WISH our names would say more about who we are than sometimes they do. RGC: It is easy to see events taking a darker turn, particularly in Chapter Twenty-Eight, which is appropriately titled “And Then Bad Things Happened.” Did you consider any different endings for this book? A.N. : I think the ending as it stands is a mixture of darkness and light. A very hopeful and huge historical thing has just happened! It seems likely that good things will come of that for many people, and for Cloud-Claudia, in particular. On the other hand, there are a number of questions left open, as happens in life, even when good things occur: how will families that are reunited process the period they spent apart? What happens when children discover that the adults around them have not been telling them the whole truth? So to answer your question: I didn’t really consider any other endings for CLOUD AND WALLFISH, but the ending I chose is really a tangled mix of different kinds of endings–and also beginnings. History is complicated that way. RGC: Why did you decide to call the informative historical bits at the end of each chapter “Secret Files”? A.N. : The structure of Cloud and Wallfish is a bit unusual: there is a fictional story in the “chapters,” and then each chapter is followed by a “secret file,” with more juicy information about the historical context of the story I’m telling. Children in the United States aren’t exposed much to history of places outside the USA, nor do they hear all that much about important, but relatively recent, periods like the Cold War, or the fall of the Wall in 1989. But history is as fascinating as any fictional story. What’s more, when we study history, in a sense what we are doing is spying on the past–and since East Germany was a place where a lot of spying was going on and a lot of files were kept on a lot of people, I thought “Secret Files” would be a good label for those more informational parts of the book. RGC: When reading Cloud and Wallfish, the reader can sometimes forget that Noah has a stutter. What made you decide to write about Noah in this way? RGC: In the Author’s Note at the end of the book, you explain aspects of your experiences with Germany, the German language, and the history of the German Democratic Republic. While some of these inform Noah’s experiences in the novel, Noah’s story obviously differs from yours. How did you balance including elements of your personal experience with history and with creating fictional experiences for your characters in this book? A.N. : Although the setting Noah inhabits is exactly the setting I knew in East Berlin (I decided to lodge his family in the very apartment my husband and I had been housed in in 1989; the neighborhood is therefore our old neighborhood), in certain key respects, my own experience in East Germany was, of course, very different. I was an adult, traveling to East Germany by choice in order to conduct research for my dissertation. I had many very good friends in East Berlin, and my experience was largely positive. That doesn’t mean that I wasn’t aware of the shadow side of things: the “Party Party” chapter is drawn from life, as are descriptions of the border crossings, and the police appearing a few minutes after you left the American Embassy, no matter which direction you went. I had a minder whose job was to ask questions in order to add info to my file. We were watched and surveilled. But when I was writing Cloud and Wallfish, I soon realized I shared a setting with Noah—but not Noah’s story! Noah’s story had to be particular to him, and particular to a person his age.